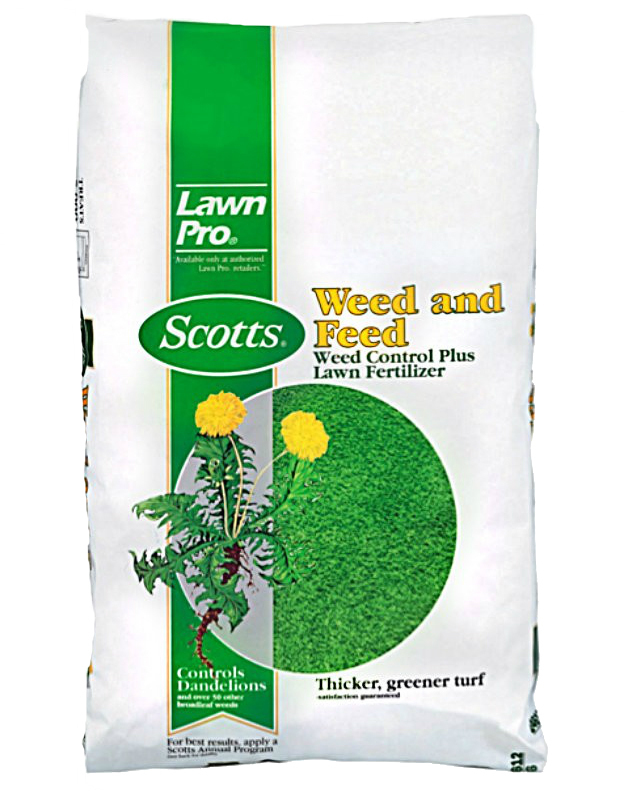 LAWNPRO WEED & FEED Apply anytime weeds are actively growing Controls most common broadleaf weeds Provides late spring feeding Contains no phosphorus Analysis: 26-0-3 51105 5M WEED FEED FERTILIZER SIZE:14.63 Lb. 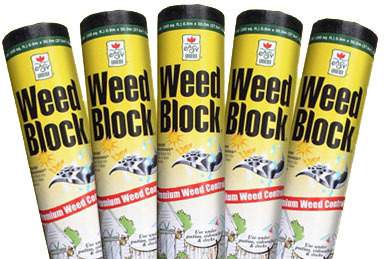 COVERAGE:5,000 Sq. 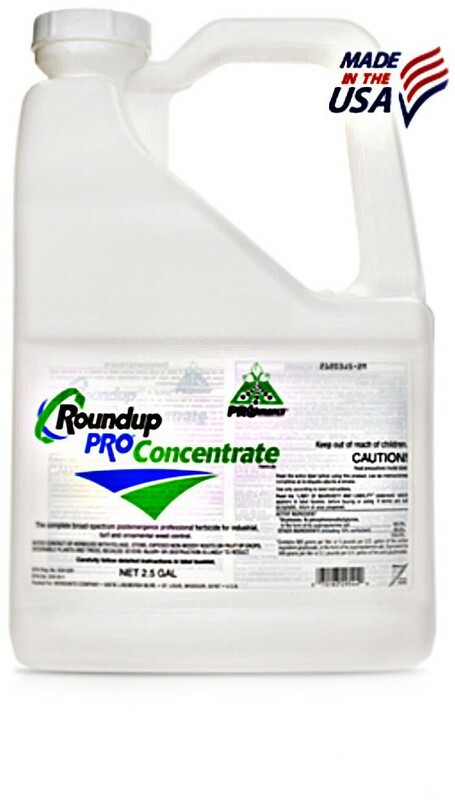 Ft.
ROUNDUP PRO CONCENTRATE Labeled for industrial, turf & ornamental use Post-emergent, systemic herbicide No soil residual activity No need to add surfactant or additives Works in approx. 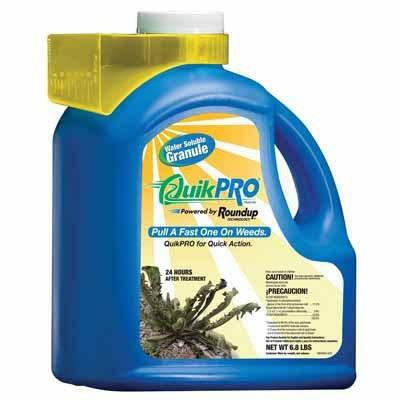 3 days For annual/perennial weeds, woody brush & trees Water soluble liquid contains 14.5% surfactant REI 1 hour MSR10317188 2.5G PRO ROUNDUP SIZE:2.5 Gal. 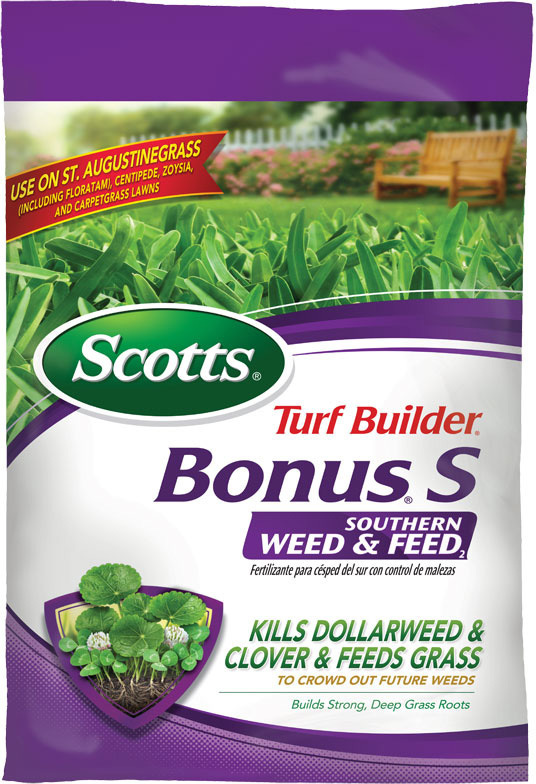 TURF BUILDER(R) BONUS(R) S WEED & FEED Bonus(R) S Southern Weed & Feed Most effective Bonus(R) S ever for controlling- dollarweed and clover - guaranteed! 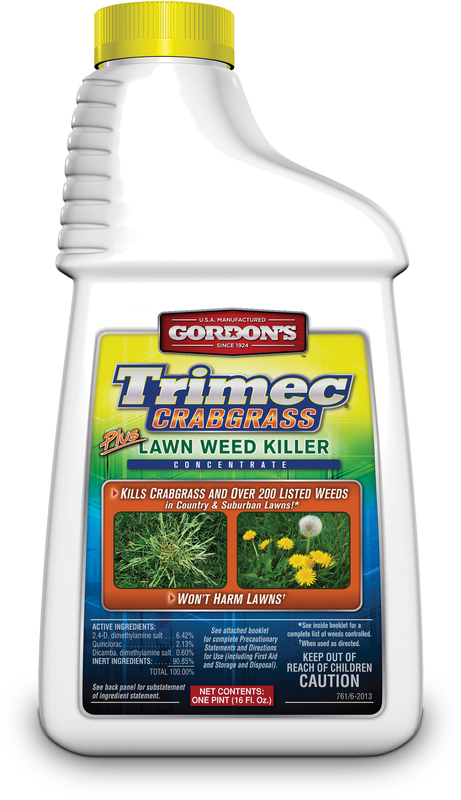 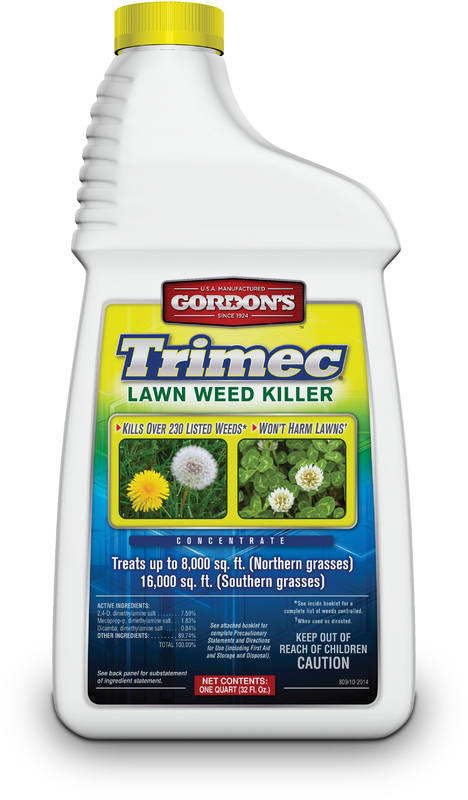 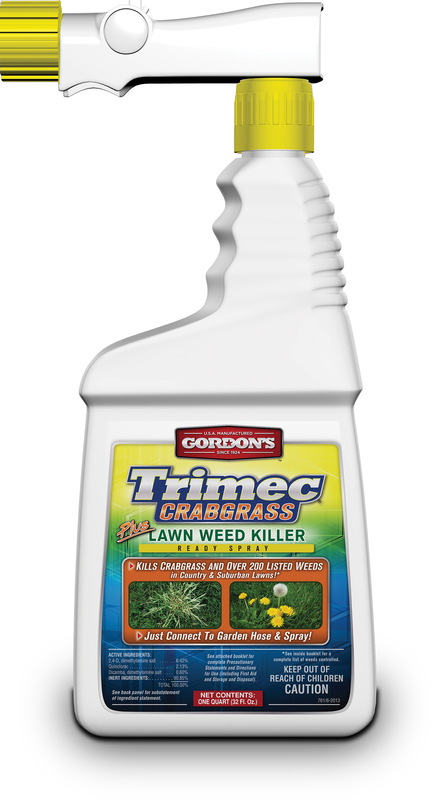 Feeds grass to help crowd out future weeds - and protect against heat and drought Use on grass types: St. Augustine, Bermudagrass- centipedegrass, buffalograss & seashore paspalum Analysis: 32-0-9 SI33130A BONUS WEED & FEED SIZE:15.65 Lb. 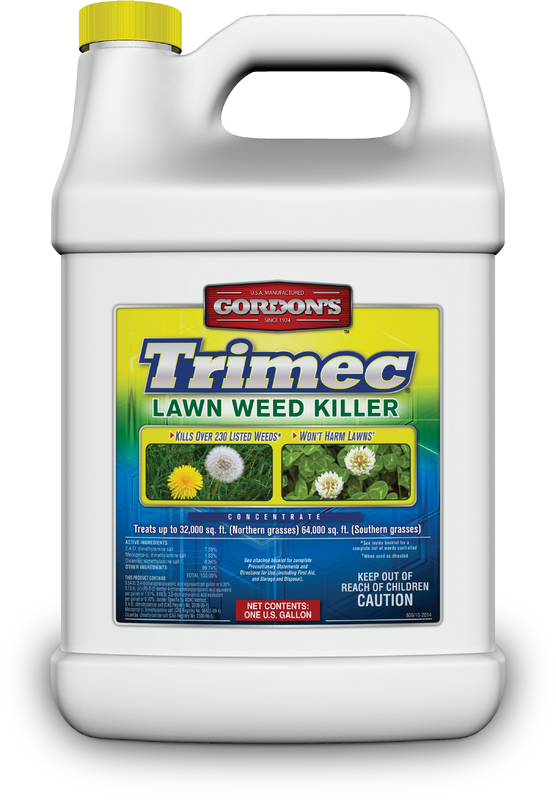 Bag COVERAGE:5,000 Sq. 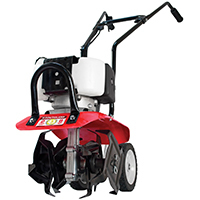 Ft.
NO-HOE GARDEN MULCH Sun-resistant black plastic mulch Perfect for small gardens 1.5 mil NH-350 NO-HOE GARDEN MULCH SIZE:3 x 50 Ft.
BRUSH KILLER PLUS Penetrating formula for quicker kill Kills tough brush - roots and all Kills poison ivy, poison oak, wild berries, Kudzu & 67 other types of weed and brush Active ingredient: 8.8% Triclopyr, - triethylamine salt 0..8% Concentrated formula - best value for- treating large areas - kills stumps too 704640B 32Oz BRUSH KILLER PLUS SIZE:32 Oz. 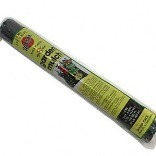 GARDEN MULCH FILM 1-1/2 mil. 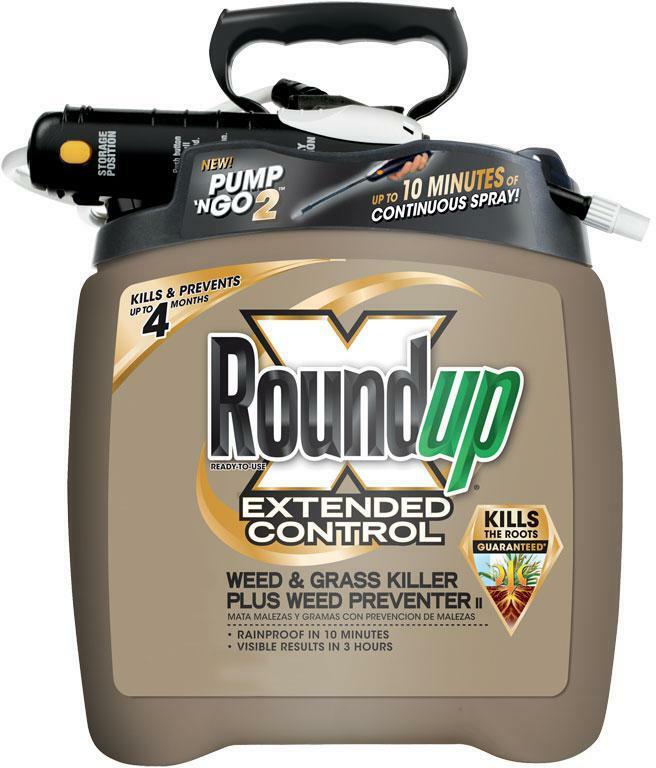 Plastic Controls weeds & conserves ground moisture NHP350 GARDEN MULCH FILM SIZE:3 Ft. x 50 Ft.
QUICK PRO Visible results in 24 hours Symptoms up to 4X faster than Roundup PRO Rainfast in 1 hour - guaranteed All-in-one, quick-mixing formulation Reduces hassle & errors of tank mixing Dissolves quickly in water & doesn't settle out Will not clog spray nozzles Easy to use container & calibrated cap MSR11750381 6.8LB PRO ROUNDUP SIZE:6.8 Lb. 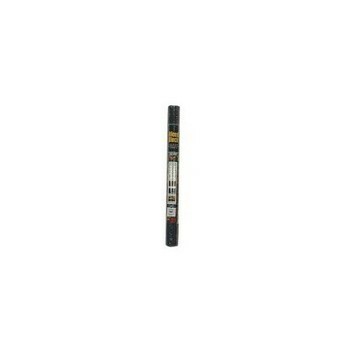 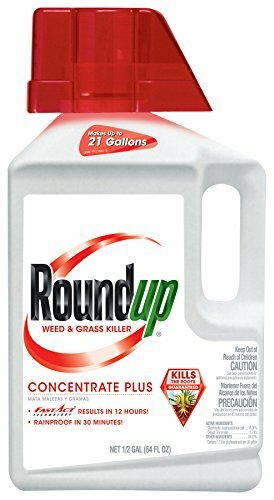 5005510 16Oz ROUNDUP CONC. 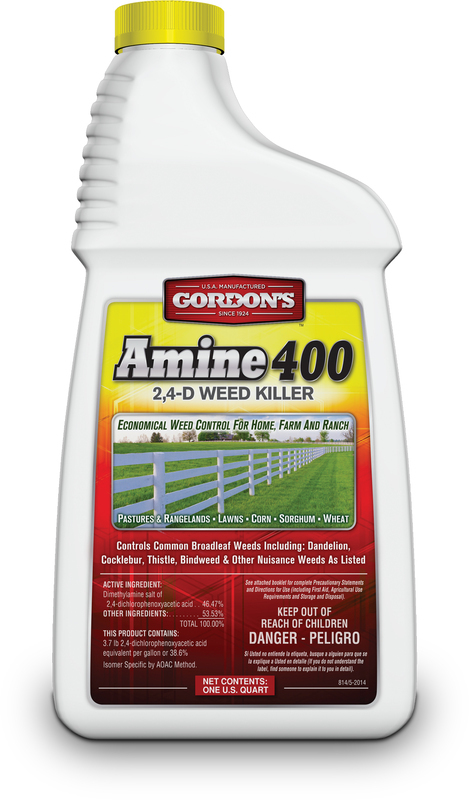 5005510 16Oz ROUNDUP CONC. 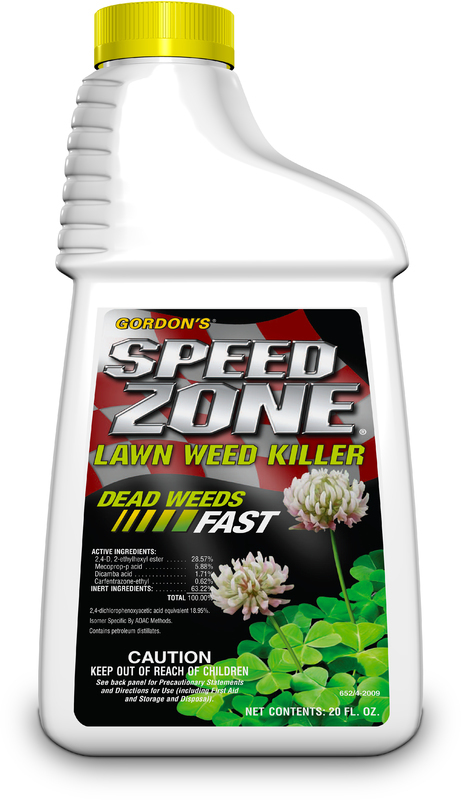 ROUNDUP WEED & GRASS KILLER CONCENTRATE PLUS Contains FastAct(R) technology For use in tank sprayer Rainproof in 30 minutes Results in 12 hours For best results add 6 oz. 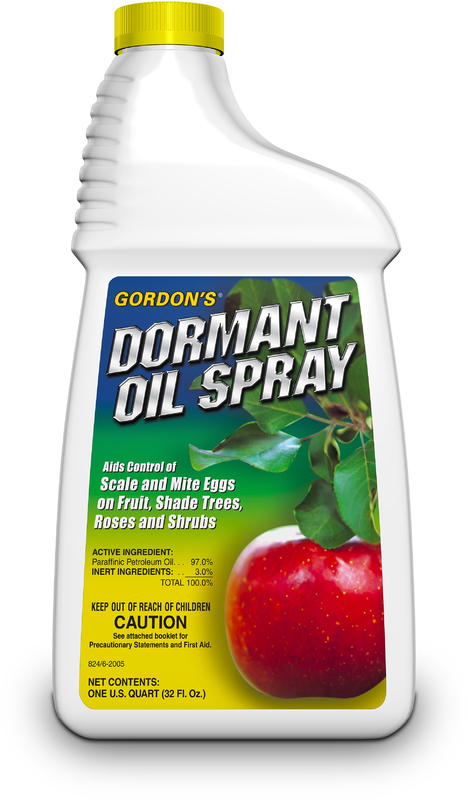 per 1 gal. 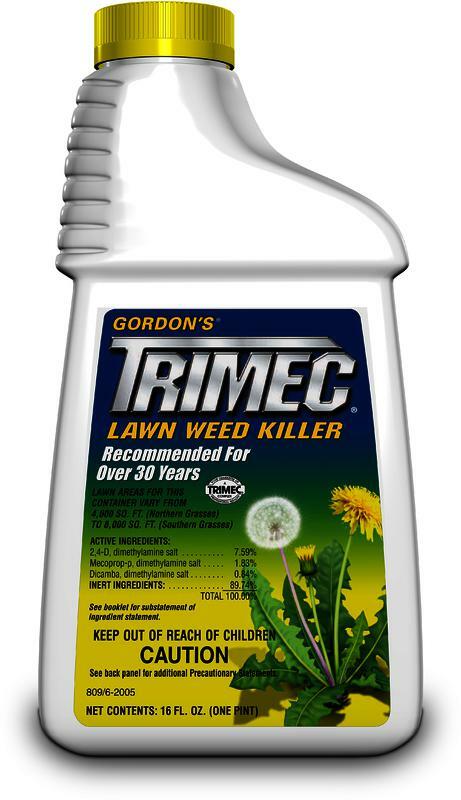 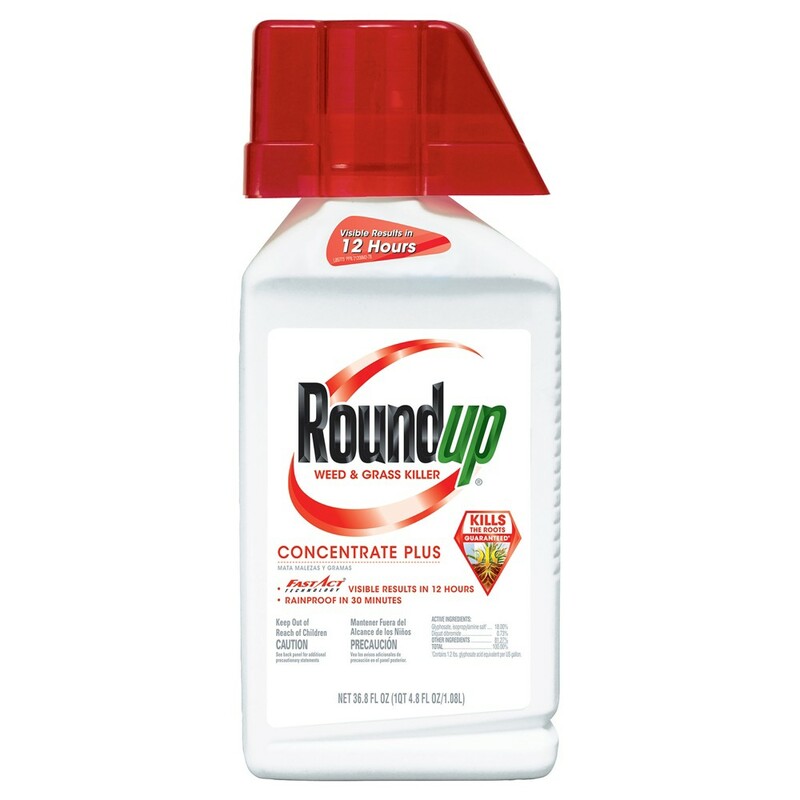 of water Kills weeds & grasses to the root - guaranteed Active ingredients: 18% Glyphosate, 0.73% Diquat 5100610 36.8OZ 18% ROUNDUP SIZE:36.8 Oz.